If you are looking for a discount hotel in Alamogordo, NM, remember that you will always get a solid deal on a simple stay here with us. Amenities include free WiFi, free coffee, guest laundry facilities and copy, print and fax services. Guest rooms feature refrigerators and microwaves, premium bedding, sofa beds in select rooms, flat-screen TVs and coffee makers. 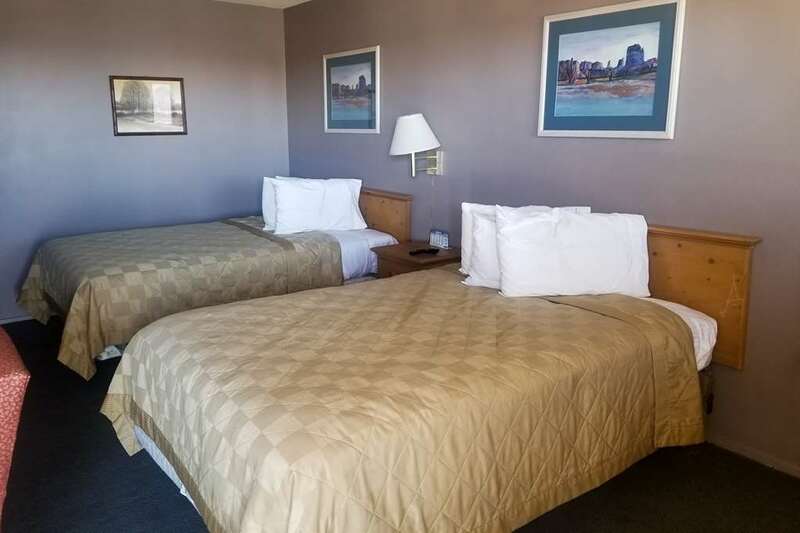 There are many reasons to visit Alamogordo, and the convenient location of our Rodeway Inn hotel offers convenient access to attractions like the White Sands National Monument, New Mexico Museum of Space History, Heart of the Desert, Oliver Lee Memorial State Park and Alameda Park Zoo. Get the basics on a budget when staying at our hotel in Alamogordo, NM. Plus, we are pet-friendly. And remember that you can also earn rewards, including free nights and gift cards, with our Choice Privileges Rewards program. Pets allowed 10.00 USD per night. Max 30 lbs, 2 pets per room.